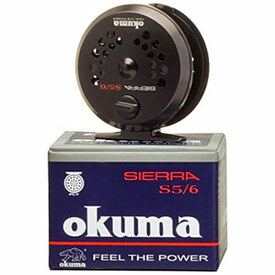 The Sierra is the fly reel that started it all for Okuma more than a decade ago, and has only grown better with age. 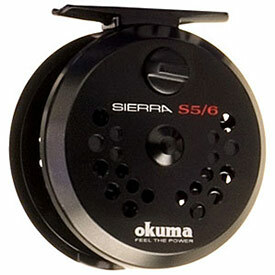 Representing the ultimate value in a simple and reliable fly reel, Sierra's Alumalite frame, one-way roller bearing and Teflon/stainless steel drag system puts a smile on your face every trip out. Sierra's affordability allows for a complete selection of line types to be carried and deployed at a moment's notice. Fly Line Capacity: WF5, 160 yds / 20 lbs.